More people are signing up for Obamacare coverage in California. Californians are flocking to the Obamacare health exchange there, with 10,000 a day registering on the web site last week. The Covered California board also voted Thursday not to allow residents to extend individual policies that don't comply with Obamacare. Seeking to quell an uproar over insurers canceling plans, President Obama last week allowed state regulators and insurers to extend these policies for another year. 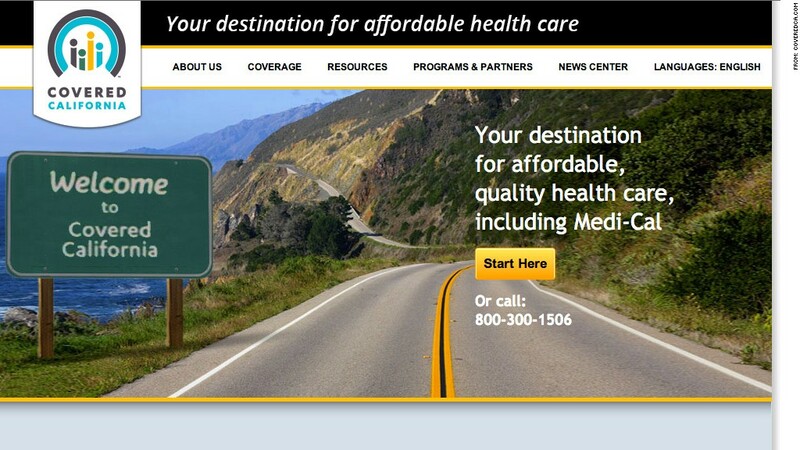 More than 360,000 people have created accounts on the Covered California website, through Nov. 19, according to health exchange officials. Some 39% of them are eligible for Medi-Cal. The rest can pick a private insurance policy on the exchange, with about half of them eligible for federal subsidies to defer premiums or out-of-pocket expenses. Nearly 80,000 residents have signed up for a policy, the final step on the exchange before working out payment -- which must be made directly through the insurance company. That's up from 59,000 in mid-November. "What we're seeing is people signing up," said Peter Lee, Covered California's executive director. To fully enroll in a policy, people must start paying premiums. Residents who want coverage to begin Jan. 1 have a little more time to pick a plan and pay for it, the exchange's board decided Thursday. They now have until Dec. 23 to enroll and Jan. 5 to make their first payment. Open enrollment nationwide runs through March 31. Those who don't enroll face a penalty of $95 or 1% of family income, whichever is greater. Younger Californians age 18 to 34 account for about 22.5% of the sign ups in October, just about the share they represent in the state population. Luring in younger and healthier consumers, who use fewer medical services and would offset older, costlier policyholders, are vital to the health of the state exchange. If young people don't enroll, then rates could soar for 2015. "Not only are we seeing strong enrollment numbers overall, but enrollment in key demographics like the so-called young invincibles is very encouraging," said Lee. Those ages 55 to 64 account for about one-third of the 30,830 people in October who signed up for a plan. Anthem Blue Cross, Kaiser Permanente and Blue Shield of California are capturing the majority of those picking plans, with each securing just over a quarter, according to exchange data. One area where the exchange needs improvement is outreach to non-English speaking Californians, advocates at the exchange's board meeting said. Some 85.5% of those signing up are English-speakers, though only 56.1% of the state population is. Nationwide, just over 106,000 people picked a plan through state and federal exchanges through Nov. 2. California's sign-ups accounted for about one-third. Also, although roughly 450,000 residents who are losing their current individual policies face higher premium prices on the exchange, the board opted not to take Obama up on his "fix." Extending the policies risks destabilizing the exchange because it is likely to attract sicker people seeking more comprehensive coverage, while allowing healthier policy holders to retain their bare bones plans. That could cause rates to rise in 2015. Also, it will cause much confusion among Californians. An insurance trade group representative urged board members not to allow extensions. California joins at least eight other states rejecting the extensions. Some 200,000 residents will be allowed to extend their plans into early next year because their carriers -- Blue Shield of California and Anthem Blue Cross -- did not give them sufficient notice.